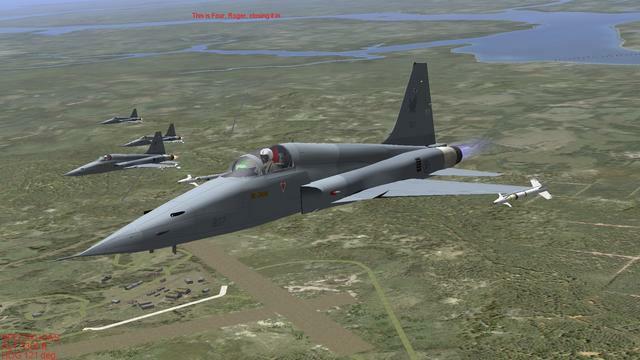 Flight of 4 Republic of Singapore Air Force 149 Squadron F-5E Tiger IIs. Operated from 1976 - 2015 before being replaced by F-15SG Strike Eagles. Pack contains 4 aircraft numbers along with an additional numberless template in case more aircraft are used. Many thanks to dona for helping to sort out the texture mapping issues.